In 2004, the Singapore flag flew high and the national anthem rang out at the Choir Olympics award ceremony in Bremen, Germany. “It was a very surreal moment. Till today, I still can’t believe it’s true,” says Mr Nelson Kwei, a name synonymous with choral music in Singapore. The renowned choral director led the Victoria Junior College (VJC) choir to first place in the 2004 Choir Olympics. It was the first time in history that a Singapore choir had taken top honours at a premier international choir festival. And it was a dream realised. It had always been Mr Kwei’s hope to have a Singapore choir recognised on the international stage. “I’ll never forget that sense of pride. It is one of the motivations that keep me going,” he recounts. Over the years, the internationally acclaimed conductor has been awarded ‘Best Conductor’ and ‘Most Outstanding Choir Conductor’ in prestigious competitions like the Musica Mundi Series’ Third International Choral Festival in Pohlheim, Germany; the Mendelssohn-Bartholdy Choral Competition; and the 12th International Festival of Advent and Christmas Music in Prague. Besides clinching eight gold awards and three category champion awards at the Choir Olympics in Bremen, Germany and Xiamen, China, his choirs have won an unprecedented 181 gold or distinction awards and 75 champion titles, including a gold diploma and the overall champion at the Petr Eben Advent International Choir Competition in Prague. His achievements have placed this little red dot on the international map of choral singing. In view of his significant contributions to local choral music, Mr Kwei was conferred the National Youth Service Award in 1993. 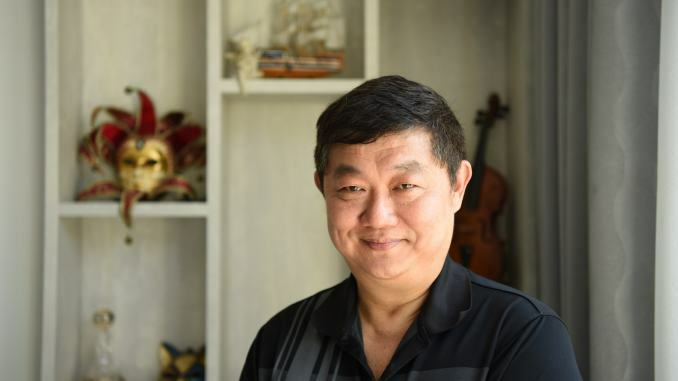 Typically, Mr Kwei begins his day teaching the secondary school choirs, followed by the junior college choirs in the late afternoon, and finally the National University of Singapore (NUS) choir in the evening. Though Mr Kwei has garnered numerous local and international accolades, the resident conductor for schools and semi-professional choirs did not start off as a choral teacher, but as a mathematics teacher. After graduating from the NUS Faculty of Science in 1985, he entered the National Institute of Education (NIE) to become an educator in mathematics. Initially, he planned to conduct for the VJC Choir and the Varsity Choral Ensemble outside his regular working hours. Then, a game-changer came in 1990. That year, he was the first scholar to be offered a Ministry of Education scholarship to pursue advanced post-graduate studies in choral conducting at the Royal Academy of Music, London. Upon his return, he was tasked with training music teachers for five years. With such lengthy experience in two very different subjects, does Mr Kwei see any synergy between math and music? Mr Kwei says that in mathematics, many things are systematically deduced in an orderly fashion. Similarly, choral conducting involves balancing things up in an organised manner, to obtain a desired outcome. “The conductor is like the CEO of a company,” says Mr Kwei, whom many describe as an “effective conductor” for his planning and organisation, logical thinking, and effective time management. “A good choir needs to be balanced. No choir is perfect; because we are dealing with human beings, there will always be problems in pitching, pronunciation, and voice production,” he explains. The conductor must prioritise, organise, and balance the various factors to achieve what is best for the choir, within the constraints of limited time and resources. In his relaxed and candid manner, Mr Kwei narrated how he became immensely interested in choral music at a young age. While listening to choral music recordings, he amazed his mother by picking up the melody and alto instantaneously. She thus enrolled him in piano lessons at the age of six, and singing lessons from the age of eight. At ten, he had his maiden experience in conducting, when he conducted for the school harmonic band. From then on, he continued to be active in singing and conducting for school, church, and community choirs. “Since my schooling days, singing and conducting have always been an important part of my life,” he shares. Having attained a licentiate in singing from the Guildhall School of Music, the vocal tutor is also a staunch believer in vocal pedagogy. “The voice is one of the most difficult things to train, because it cannot been seen,” he says. A singer has to rely on feel to manipulate his vocal chords and diaphragm, without being able to see them move. Recalling his time at the Royal Academy of Music, Mr Kwei says that, despite his strong foundations in music theory and vocal training, he initially found the advanced choral conducting course rather “intimidating”. He is particularly grateful to Mr Patrick Russill, his tutor at the Royal Academy, who raised his conducting skills to a professional level. He also relishes his time in London, which had many superb choral services that were open for the public. During the weekends, he would catch as many as four choral services a day. He enjoyed sitting in the front row, where he could observe the conductor in action. At the Royal Academy, he learned the art of choral conducting, where one can only deliver cues to the choir with one’s eyes and gestures. He was also coached in orchestra-conducting, where one uses a baton. The baton makes conducting more disciplined and purposeful, says Mr Kwei. “Conducting itself is a study,” he stresses. Crucially, the conductor must have firm knowledge of the music piece, including its historical origin and the lyrics’ literary background. He or she must be able to marry the music with the lyrics into a logical, beautifully performed piece. Mr Kwei, who is also vice-chairman of the Asian Youth Choir Council and artistic director of A Voyage of Songs and Concentus Orientale, adds that ‘practice makes perfect’. If the choir members practice together often enough, their voices will synchronise and blend into one. “Their voices will complement one another’s. That’s the beauty of the choir. It is teamwork,” he stresses. Besides technique and orderliness, good choral singing must have the ability to move hearts. “This depends on the conductor and the choir’s ability to interpret the music and express the emotions,” says Mr Kwei, who has judged several choral competitions both locally and overseas. In 2006, VJC choir became the first Asian choir to procure the Grand Prize and Audience Prize at the acclaimed Concorso Corale Internazionale held in Riva Del Garda, Italy. For the competition, Mr Kwei had chosen a piece rich in Asian influence, titled “Zhu Li Guan” (Lodge in the Bamboo Grove). Composed by Dr. Zechariah Goh, head of composition studies at the Nanyang Academy of Fine Arts (NAFA), the piece is based on its namesake poem by the famous Tang Dynasty poet Wang Wei. The melody involves guqin accompaniments and a soprano solo with elements of Beijing opera singing. According to Mr Kwei, the music’s strong Asian influence helped differentiate the Singapore choir from its European counterparts. He believes that Singapore’s East-meets-West culture is a unique strength, which enables our choirs to shine on the global choral stage. Mr Kwei believes that arts education is essential for an all-rounded education as well as in nurturing a gracious nation. “I strongly believe that, in a developed country, technology and the arts share a symbiotic relationship where the two complement each other,” says Mr Kwei, who also serves on the National Arts Council’s Advisory Board for Choral Development in Singapore. 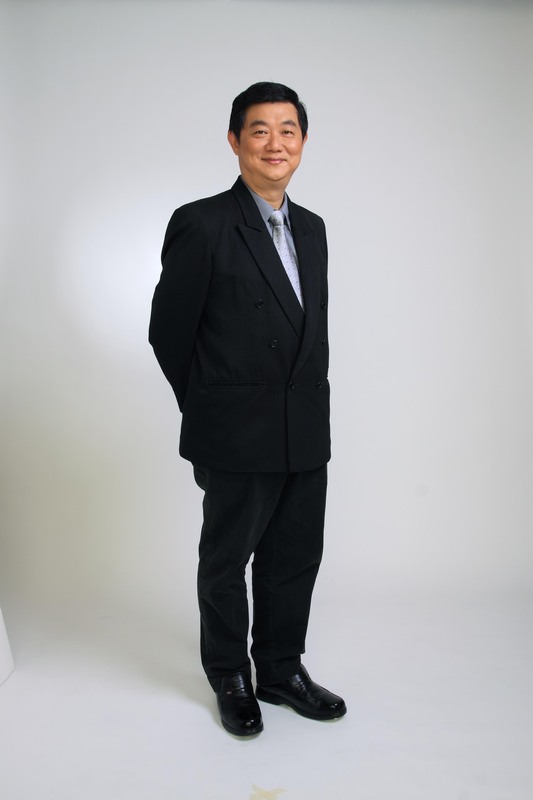 His goal is to further develop choral music in Singapore. “With respect to Singapore, I feel that our economy and technological standards are quite in place. Perhaps now it’s time to shift our focus to developing culture and the arts. Only then can our people’s cultural literacy improve, and can we cultivate an all-rounded future generation of Singaporeans. This would be an asset to our country’s development,” he says, a determined sparkle in his eyes. And in that brief moment, we glimpse the lifelong resolve that enabled him to take Singaporean choirs beyond our shores to greater heights.